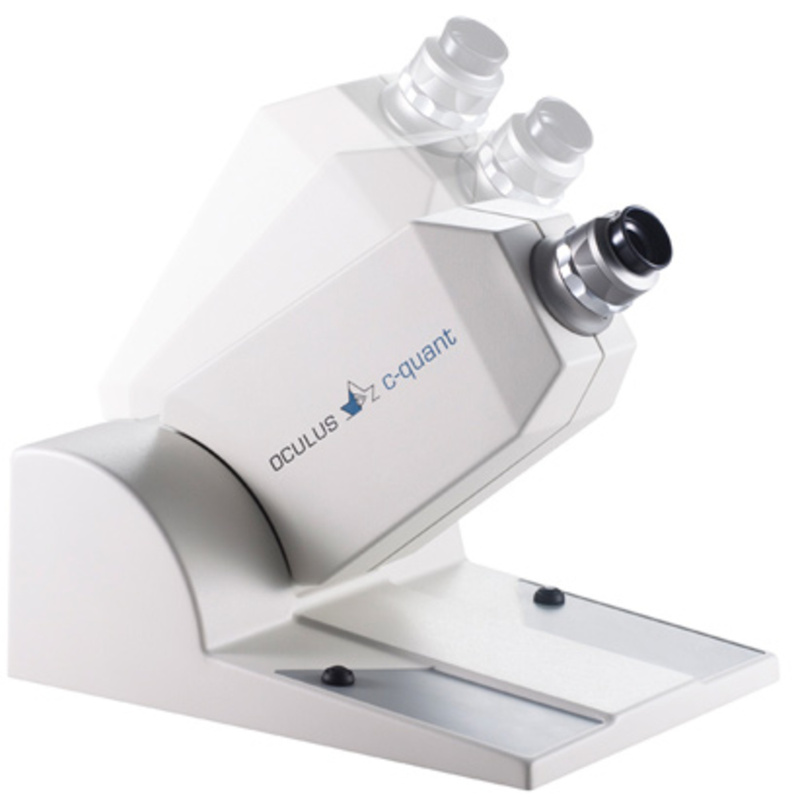 The OCULUS C-Quant determines the straylight value log(s) of the eye of the individual examinee. The examinee regards a measurement field consisting of 2 parts: a central test field and an outer ring representing the straylight source. The outer ring is caused to flicker. Some of this flickering light is scattered by the lens and other parts of the eye and arrives at the part of the retina (fovea) which is represented by the test field. Due to the scattered light, the examinee also perceives the central test field as flickering, even though in reality it is black. The C-Quant then determines how much light – flickering in counterphase to the straylight source – is required in the central test field to compensate for the straylight emanating from the straylight source. The C-Quant arrives at exact values by using the compensation comparison method, i.e. by dividing the central test field in two halves. The C-Quant is computer-controlled, i.e. examination data and results can be digitally saved. The tilt angle of the device can be adjusted for the individual examinee. The examination is preceded by an instruction phase; this allows the examiner to determine whether the examinee understands what is expected of him or her. Corrective lenses can be inserted in front of the eyepiece. At the end of the examination, both the result and all responses of the examinee are shown in a diagram showing the course of the examination. The quality of the examination is monitored via a reliability index.